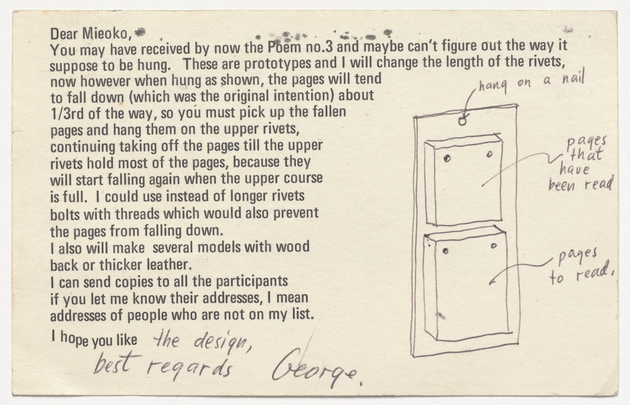 Artists' Books and Multiples: Mieko Shiomi | Spatial Poem No. 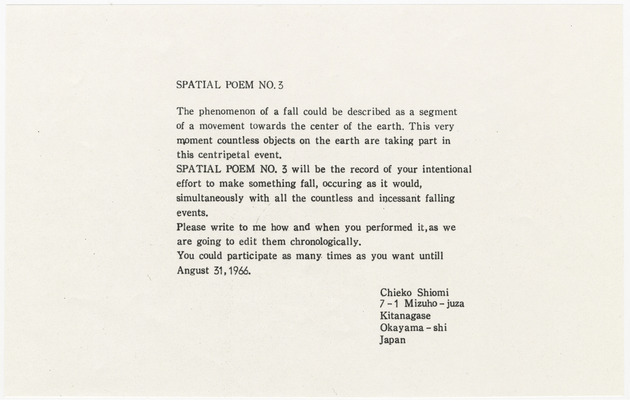 3 "Falling Event"
Mieko Shiomi | Spatial Poem No. 3 "Falling Event"
Spatial Poem No. 3 "Falling Event"
15.5 x 12.5 x 3 cm. 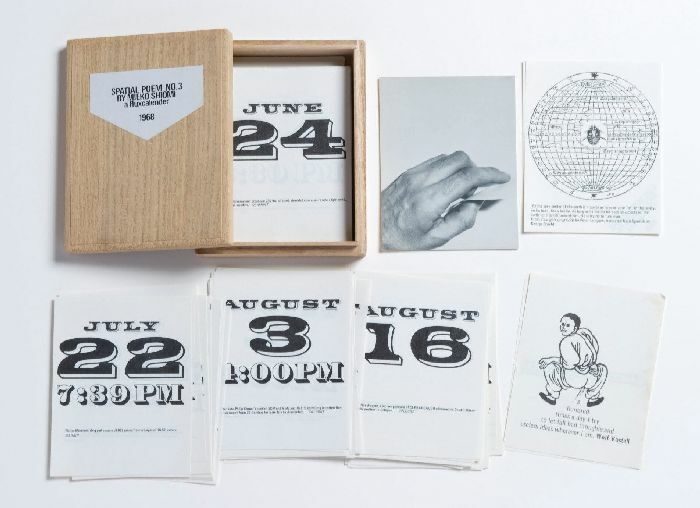 Beginning in 1965, Mieko Shiomi conducted a series of nine events that she called Spatial Poems. Each began with an invitation to friends and colleagues from around the globe to respond to a simple instruction via the mail. 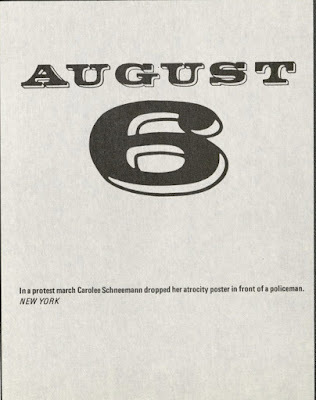 The responses she received would then constitute the work. 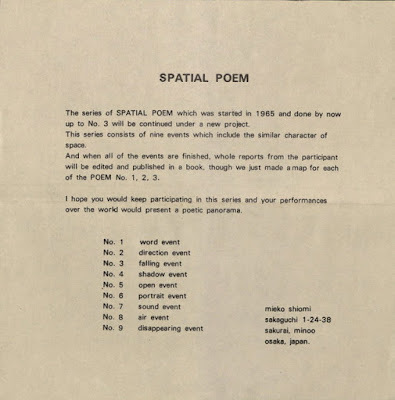 The third Spatial Poem was on the subject of falling: "The phenomenon of a fall is actually a segment of a movement toward the centre of the earth. 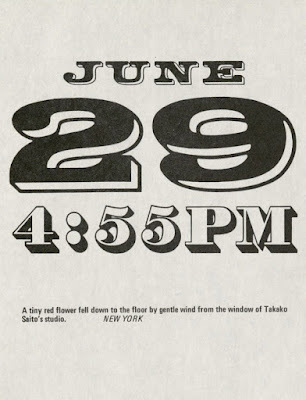 This very moment countless objects are falling. 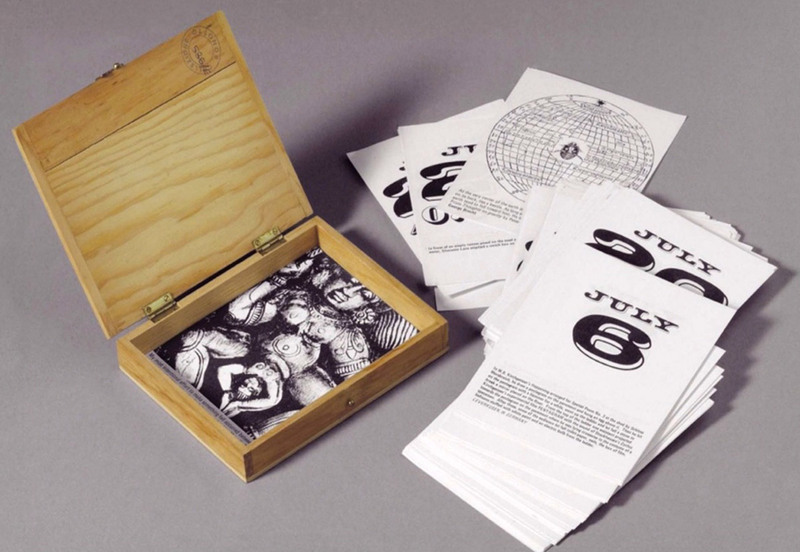 Let's take part in this centripetal event," she wrote in her invitation, "Spatial Poem No. 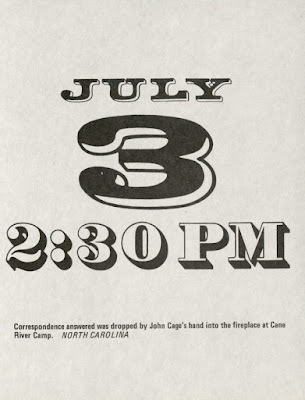 3 will be the record of your intentional effort to make something fall, occurring as it would, simultaneous with all the countless and incessant falling events". 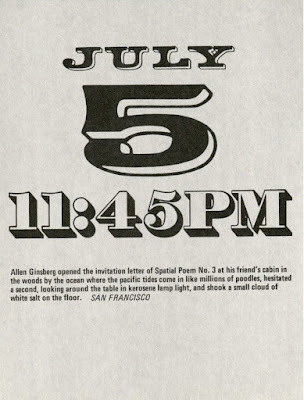 Participants included George Brecht, Stanley Brouwn, John Cage, Allen Ginsberg, Geoffrey Hendricks, Philip Kaplan, David Mayor, Carolee Schneemann and many others. 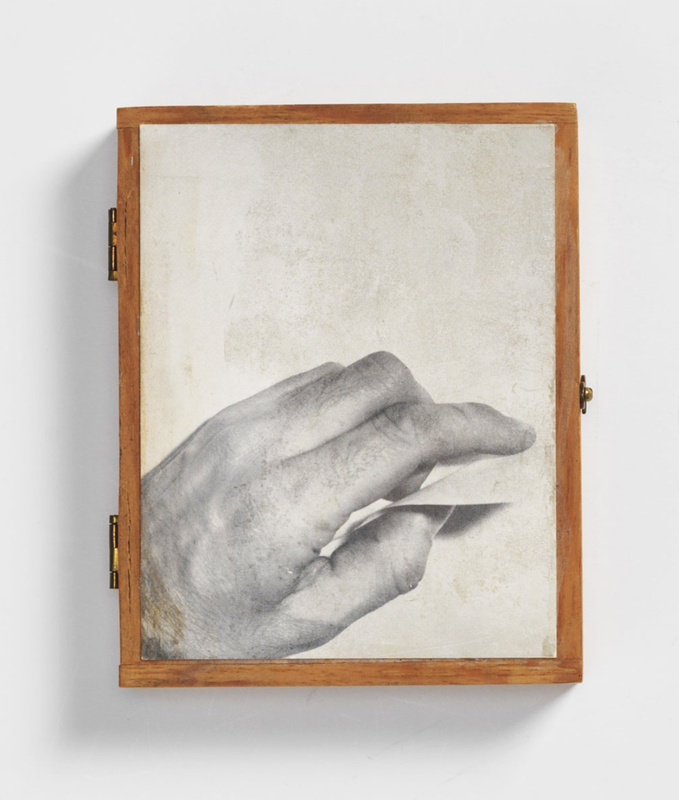 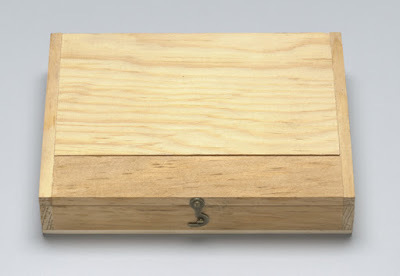 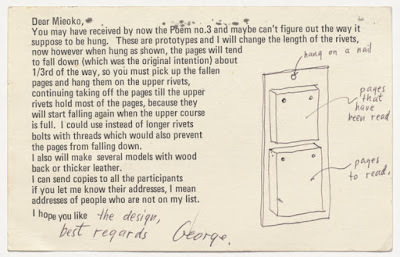 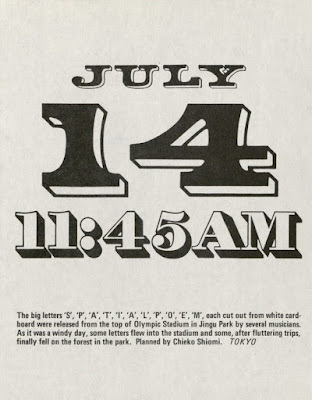 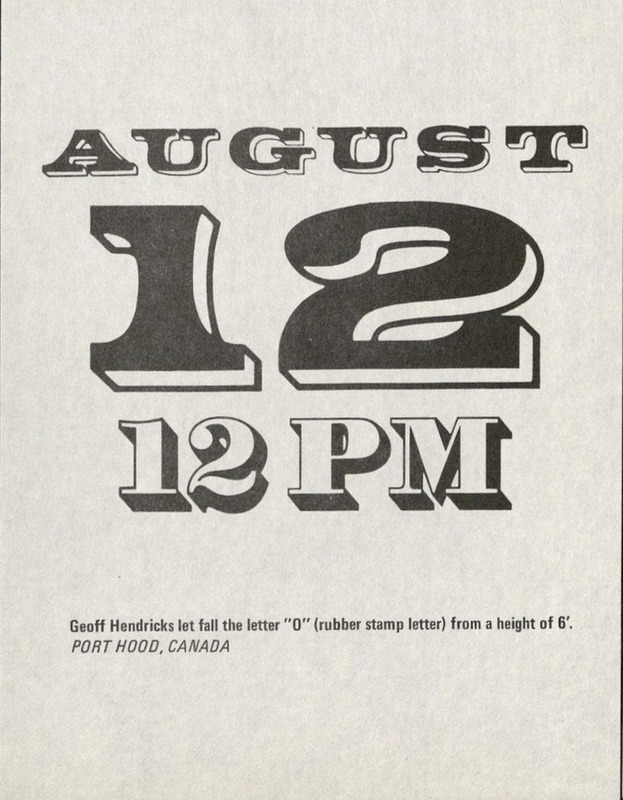 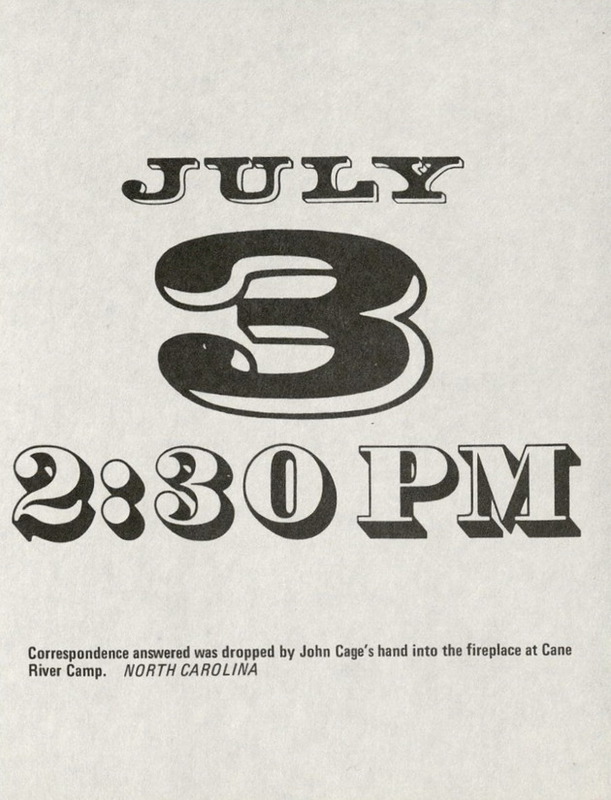 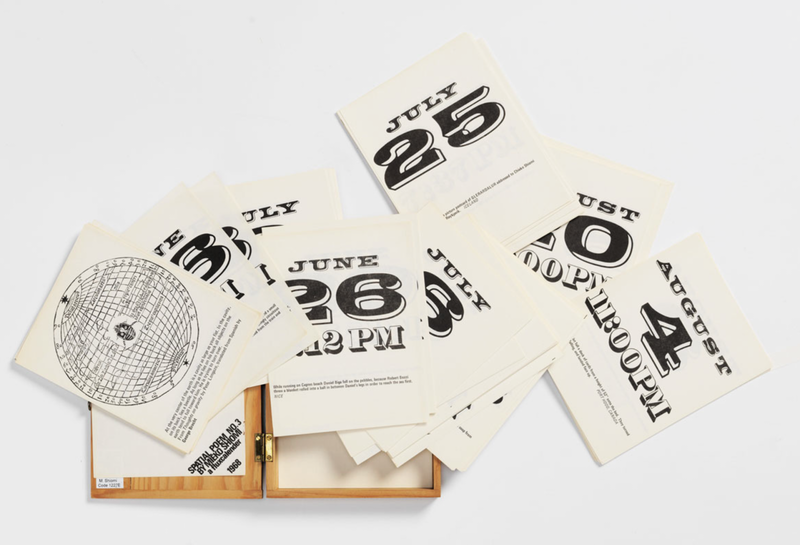 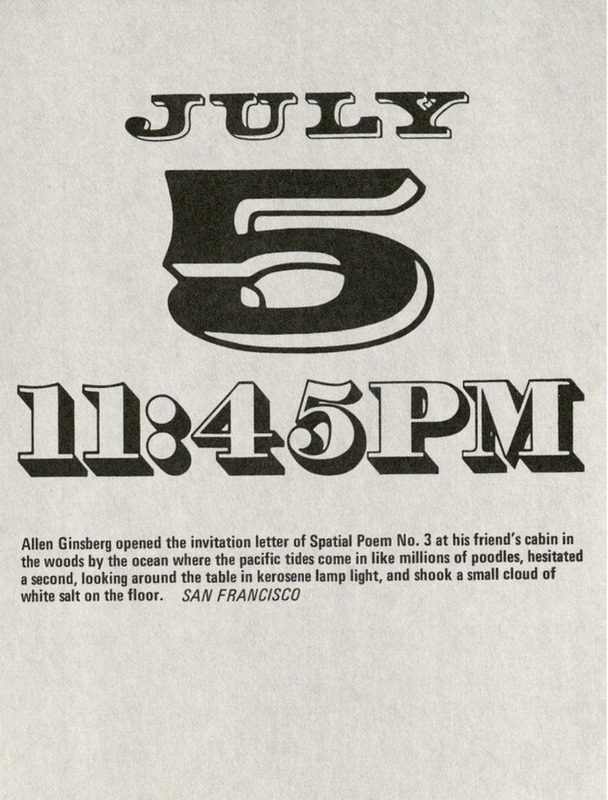 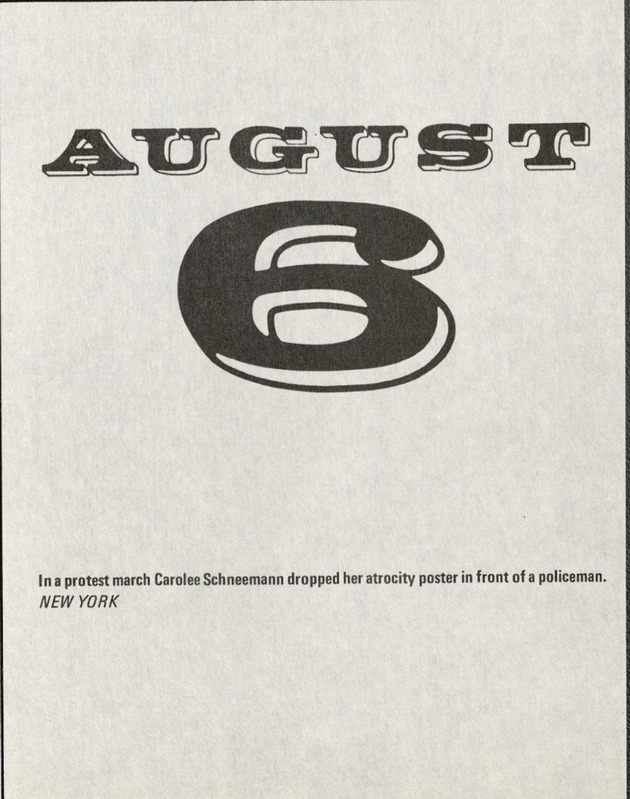 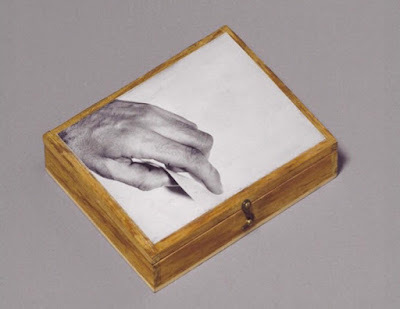 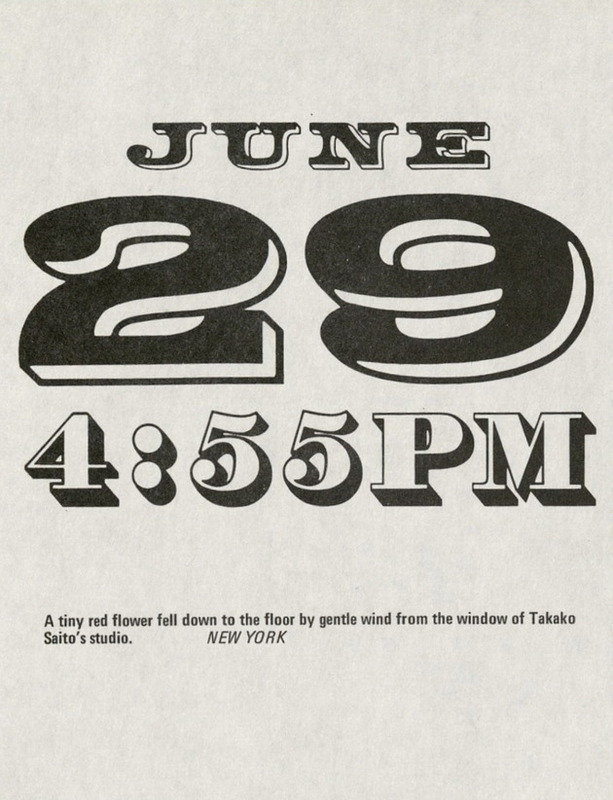 The wooden box containing the printed cards is designed by George Maciunas, who also produced a wall calendar version in 1968, which can be seen here.